Band AFI released new single “Trash Bat” yesterday ahead of their EP The Missing Man (Ex Noctern Nacimer) which will be released next Friday (7th December). “This was the ideal song to kick off the EP” guitarist Jade Puget (also producer and mixer of the EP) said. “It’s just a quick burst of frenetic energy. 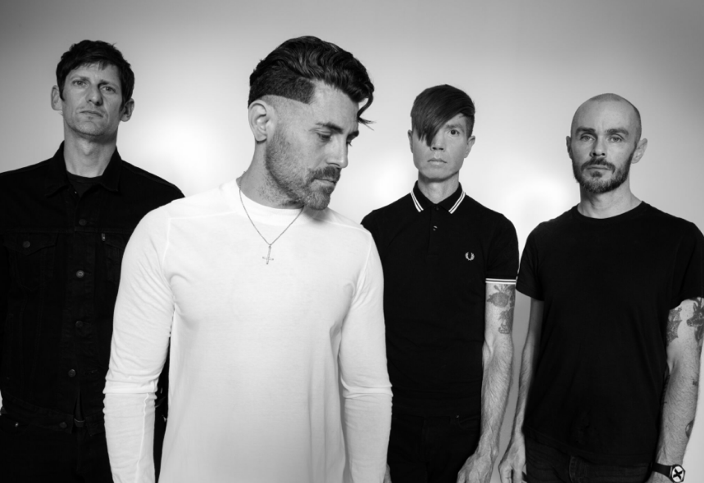 The track followed a surprise-release of “Get Dark”, which Brooklyn Vegan described as being “the kind of catchy, driving punk that will bring you right back to [AFI’s 2003 album] Sing The Sorrow. Both “Get Dark” and “Trash Bat” are available as instant downloads and The Missing Man is available to pre-order. Since the release of 1995’s debut album Answer That and Stay Fashionable, the group has written and recorded five top ten hit singles.